Dorothy Edna Cassity, was born January 26, 1939 in Quitman, Mississippi. She left for her heavenly home on January 27, 2019. Dorothy was a natural teacher and caregiver. Most of her life’s work included caring for the sick and elderly as an at-home caregiver. She volunteered as a Sunday school teacher for the children at her home church Christian Fellowship Baptist Church and loved working during vacation bible school time. Her love for the Lord and her family was the most important thing in her life. Dorothy was also a passionate fan of Elvis Presley and Alabama Football. She will be remembered for her friendly personality, her pride in her children and grandchildren, and her ability to find joy in an unmaterialistic life. She is survived by her husband of 60 years, Roy Cassity, Jr., her four children, Jerry Cassity, Karen Weatherly, Melissa Svolos, and Timothy Cassity and their respective families. 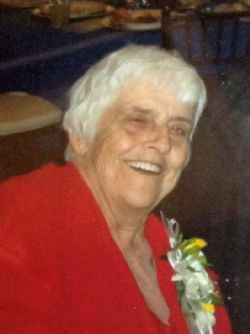 Dorothy was a grandmother to eight grandchildren and four great-grandchildren. The graveside memorial will be held Saturday, February 2nd, 2019 at 12 noon. at Mobile Memorial Gardens. Visitation will be at 11:30 at Mobile Memorial Gardens Funeral Home, 6040 Three Notch Rd., Theodore, Alabama. A graveside service will be held at 12pm on Saturday, 02/02/2019. Condolences to you and your family Tim. Remember Mrs. Dot from our teenage years! She was precious!